Time for that little cup of sherbet before the next course of craft-mania. 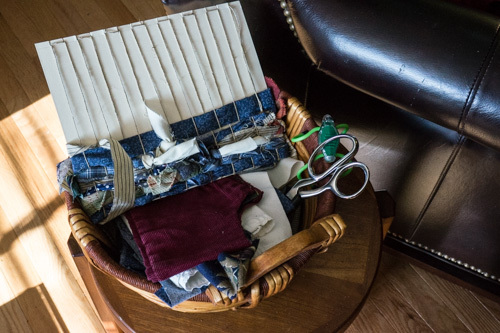 When I started the clean-up process from my quilt-making, I was wondering what to do with all the little scraps and decided to look again at the video. I was still in a crafty mood and it looked pretty easy -- like something I might have made in Girl Scout camp, if I'd ever gone to Girl Scout camp. No sewing required -- just cardboard, string, scissors, strips of fabric (lots of it) and knowledge of how to make a square knot. It turned out to be a nice project for relaxing in front of the TV. When it was done, I wasn't sure what to do for a strap. 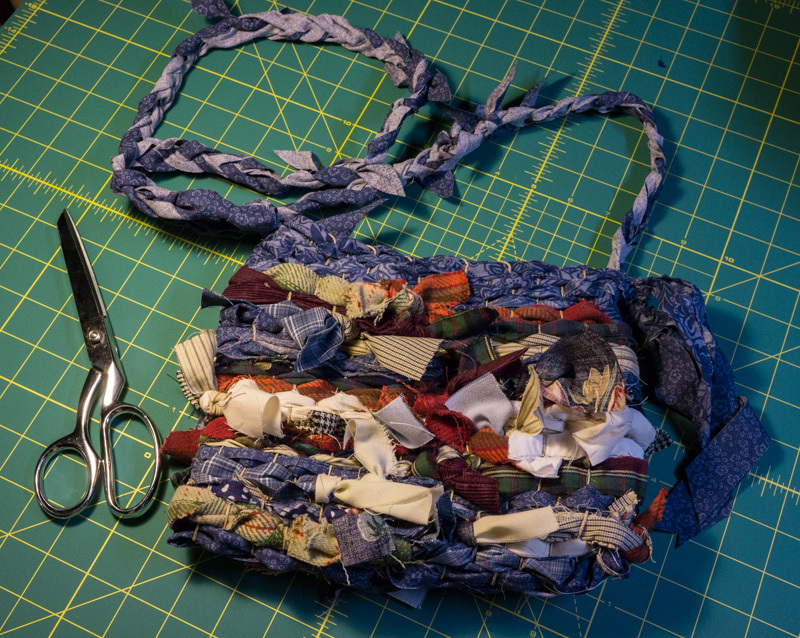 Too many hand-crafted bags are ruined with a dorky store-bought strap. So I quickly cut some bias strips and braided a strap. But before I go prancing around town with my wallet and keys in it, I think I'll investigate a simple closure of some kind and use a needle and thread to reinforce any possible weak spots.